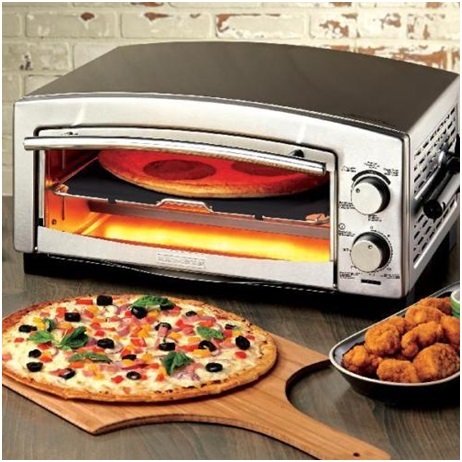 Toaster ovens are convenient small kitchen appliances to make whole meals, to toast, broil, and bake. As the name says, it’s a cross between a toaster and oven. These, too, have crumb trays just like a regular pop-up toaster. If you don’t own a toaster oven, they have two heating elements with one on top and the other on the bottom. When you bake, the bottom element is on just like a regular oven. When broiling, the top element is on just like the broiler element in your cook stove oven. 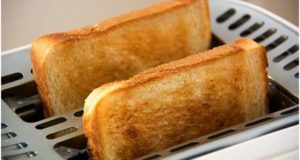 When toasting bread or making sandwiches, both elements are on. With toaster ovens, you select the mode you want and the temperature. 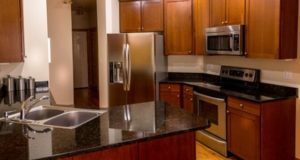 If you have your own and if you are thinking of buying one but need to know what the cleaning is all about, the discussion here will demystify how to clean a toaster oven. The first thing you do like your morning trip to the bathroom, is to unplug the toaster oven cord from the wall receptacle. Be sure the toaster oven is cool. Never put a toaster oven into water! You will ruin the electronics forever. Next, pull out the crumb tray on the bottom with its small pull-out tab or grab handle. Most trays can be soaked in the sink with hot water and dishwashing detergent. I like to brush the crumbs off first with an old toothbrush. It’s usually aluminum, so caustic cleaning chemicals can tarnish it. Never submerge your toaster oven in water. Always apply cleaning solutions to a sponge or rag, including warm sudsy water and not directly in or on the outsides of the toaster oven. You can easily get liquids into the electrical components with the spray. Be sure your sponge or cotton cleaning cloth is slightly damp and not dripping. Remove the baking rack(s) and wipe any crumbs from the interior walls and door. Do not use steel-wood pads, Brillo®, or SOS® soap pads, abrasives, salt/soda that can be abrasive, and do not use sponges with a scrubbing side. Clear distilled or apple cider vinegar are good to use straight onto your cloth or sponge. Window cleaner is also good for interior surfaces, but not the heating elements; use it for the glass door too. 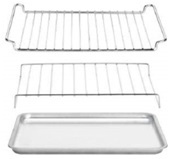 Put the rack and pan into the sink to soak and wash in dish detergent. If they are too large for your kitchen sink, use your bathtub. The racks are usually stainless-steel so don’t use abrasives or sharp objects to dislodge baked-on food. Wipe out the crumbs and spills. Wash it with vinegar or dish soap warm water. Rinse and towel try. Do the same for the glass with vinegar, sudsy water or glass cleaner putting it on a sponge or cloth but not spraying on directly to run and drip into parts you don’t want wet. Do not use abrasives on the interior or outside housing because they will leave scratches. Even the nylon scrubbers can scratch. Do not use Easy-Off® oven cleaner or any oven cleaners on your toaster oven; it is overkill and might harm the inside parts. Never ever use an extension cord that is not the same AWG (American Wire Gauge) as the cord on the toaster. You will have a fire because of the amount of power (Wattage) the toaster oven puts out. Be sure the cords are UL® (Underwriters Laboratories) listed and that they never feel hot when in use. Your entire house electrical system should be grounded as well. These clean themselves when you turn the toaster oven on. You can wipe them with sudsy water, but not vinegar that is an acid. 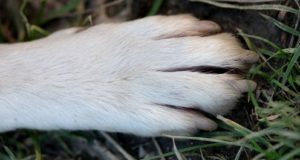 Clean them gently if you must. Never use paper towels, paper plates, or cardboard and never use plastic lids and containers; paper will burn and plastic will melt to start and oven fire. This is not a microwave oven that can use paper items. Microwave manufacturers and glass cookware manufacturers will tell you it’s okay to put glass cookware into the toaster oven. That is fake! Never use glass for cooking in this type oven. Warming your coffee mugs is not safe to do in a toaster oven; use your microwave oven for that. Consult your User’s Manual for the types of baking pans and whether or not you can use aluminum foil or parchment paper. 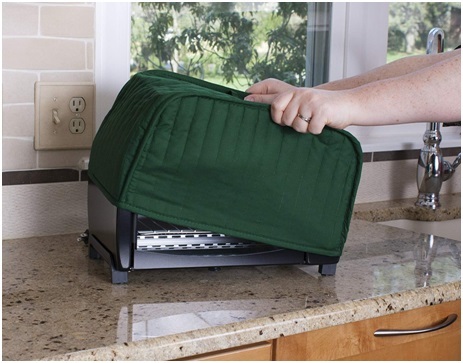 Toaster oven covers are available on Amazon.com® for under $10. They keep your toaster oven clean from splatters, grease, fingerprints, dust, and your countertops look organized. Find yours in the color and size you need and you won’t be disappointed. Leave your comments, questions, or ideas about cleaning toaster ovens below and let me know what you like best to clean your copper cookware. I will reply to each of you. How to Clean a Toaster Oven video.